Hello and welcome to the Inspire, Create, Share blog hop for June! So glad you could join us for this exciting hop to introduce the brand new 2018-2020 In Colors! There are so many wonderful demonstrators on this hop, so I hope you make sure to scroll to the bottom of the post and click that Next button to keep the hop going! 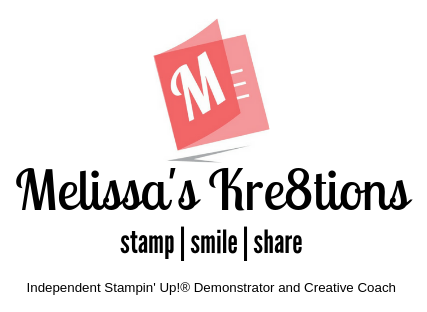 Introducing 5 brand new colors to the Stampin’ Up! Family. Here are the In Colors for 2018-2020! I really wanted to play with one of the brand new stamp sets from the Annual Catalog too, so I decided to stamp this adorable octopus from the Sea of Textures stamp set in each of the new colors! I love how this stamp turns a clean and quick card into a fun set using each of the colors. I was surprised just how bright the Pineapple Punch was! It shows up fantastically on the Whisper White cardstock. I used the Stamparatus to get the same placement for my sentiment on each card. The Stamparatus made it so easy and quick to stamp these 5 cards. I can’t wait until Christmas card season arrives so that I can use this handy new tool to whip through all those cards! Be sure to hop on over to Cynthia’s blog to see her amazing project! Thanks so much for stopping by and have a great time hopping! Previous Post 2018 Annual Catalog is HERE! Thanks for sharing the Stamparatus in action! Love this – I have seen so many cute designs. This octopus is tempting me! I already loved this octopus, and now even more in all these colors!!! I love one layer cards…..and you nailed this one…ADORABLE! Thanks for hopping with us this month! Sweet & Simple! I like it! I just ordered this set and it only occurred to me now that the “reaching out” sentiment goes so great with the octopus! Fun cards! Melissa, these cards are so fun and playful with the octopus in the In Colors! This stamp set is growing on me for sure now! Cute cards! What an adorable little grouping of cards!!!! So super cute!!!! Fun, simple cards! Thanks for showing all the colors! Very cute card & great use of the stamparatus! Nice reminders of how a simple card can get it handled.